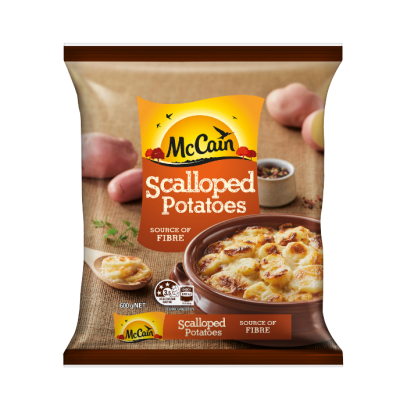 Potato (55%), water, cream, cheddar cheese, vegetable oils (sunflower, canola), seasoning (rice starch, milk powder, potato starch, modified corn starch (1422), salt, onion powder, garlic powder, white pepper, nutmeg), cheese powder, garlic, dextrose. Preheat the oven to 180°C fan forced. Empty the bag into a baking dish, place on the middle shelf of the oven.